I can’t find words enough to thank you. I was very skeptic until I came to you, I really did not know what a Medium was. No one would have known the things that you specifically told me. It brought me so much peace, for now I know that my son did not suffer when he passed on that horrible accident last year. Thank you, thank you for putting my mind at ease. I will be back to Treasure Island next year and I can’t wait till I see you again. I have to tell you that it still blows my mind that you knew about the red couch that belonged to my father when he was 20 years old, when I asked my mother about it, she started to laugh because she hated that couch, of course I did not remember because I was not even born then. Thank you Elena for allowing me to talk to my father it was such an experience that I will never forget, by the way I have told my friend that she needs to come to see you. 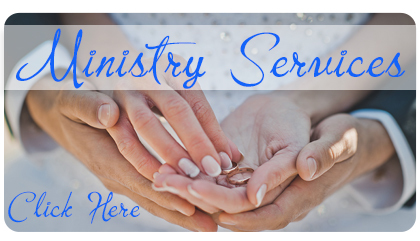 When I came to see you for your spiritual life coaching, I have to admit that I was a little nervous because I did not know how this would help me. I knew that I needed to do something. My life was such a mess or so I thought. 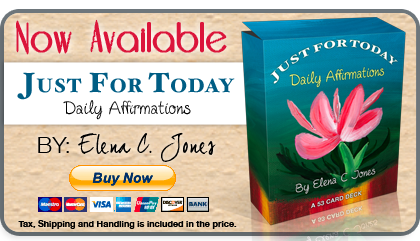 Each week you gave me tools to improve my life and boy did they work, so if anyone that reads this “Elena is the best”! Thanks Elena I miss you, I will be in your area next month! My English is not so good but I will try. I want to thank you for helping me. I have only been in this country for almost one year before I came to see you. I was a doctor in my country and now I have to start all over again. I was happy to know that I could speak my language with you, you helped me so much, coming over to my house even when you did not have to do so, I can learn to spell ck in my computer, so now I can spell a little better. But what I wanted for you to know is that I appreciate you for helping me putting my life together again, you are an angel si un angel divino. NO hay palabras, there are no words to explain my appreciation for you. Your Spiritual Life Coaching as you call it, it does not exist in my country, helped me so much. I love you Elena you are such a wonderful loving person that I am so happy to know. It was such a pleasure working with you. My life has completely changed since I came to you, you are the real deal! Everybody tells me how positive I am, how I don’t let things get to me, even my work noticed the change. When they ask me “what is going on”? I smiled, Elena get ready to get really busy because I have told everyone about you. I will like to know if I can have an Elena tune up, I miss the positive energy. When I meet you I really did not know what to think of you, being that I was a NYPO for many years, you tend to be guarded to say the least. I knew that I had to make a change but did not know how, until came you. Thank you my friend, you can use this short note as a recommendation, I am not much with words, but you know that. By the way I started working on my book, I will send you a copy once I publish it. You may use my name and the first initial of my last name. Within 30 minutes, a young man came into the lobby and sat down. Elena took it from there. She had a message for this man from his mother who had recently passed away. She eased his pain and filled his heart with love. I was very blessed to have witnessed such a beautiful act of kindness. I wanted to take a moment to thank you for what your gift has done for me. I was suffering in a couple of different ways over the traumatic death of my younger brother and you were able to assist me in gaining some clarity and closure. Words cannot express the peace you brought to me. And not only were you able to assist me with this difficult area in my life, you also brought me news from other loved ones that was surprising and comforting. Your gift is a blessing to so many and I thank you from the bottom of my heart. I am so happy that you came in to my life. I look forward to what the future holds and I know you will play a wonderful role in whatever that is. I just would like to share this with everyone! A dear new friend shared with me a book of this beautiful woman I had the pleasure of meeting. 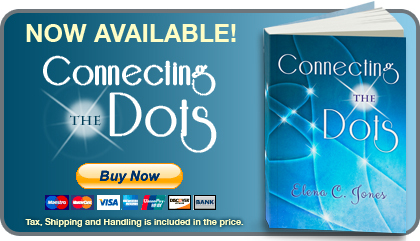 It is called “Connecting The Dots”…it is a very moving book by Elena C Jones. I HIGHLY recommend reading it. It is not very long so that even a non book person like me could read, however the story is extremely moving…tears of joy fell many times. 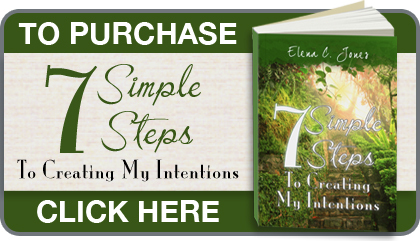 Thank you again Elena for writing your books. I look forward to reading the next one, as well as getting my own copy one day. I don’t normally put my personal business on fb but in this case I felt I needed to share. So this past year has been a lot of change for me( in a good way), but I found myself constantly feeling fearful, Second guessing myself, giving up so easily whenever I felt challenged. I Created so much anxiety for myself and it became very overwhelming. I was losing myself. A very dear person to me among a lot of beautiful and powerful things is a spiritual life coach and offered her help. I would meet with her 1 hour a week for 5 weeks. 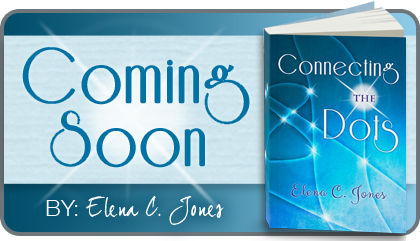 After just one session with Elena C Jones, I began to observe the limiting beliefs which were keeping me separate from that which I desired. From this new awareness and observation I was able to powerfully shift my perspective on life. I now am able to facilitate changes in my thoughts, patterns and belief system! Through those 5 weeks she gave me the right tools to improve myself.To feel energized, happy, more organized, and to achieve more than I have ever expected. I now have a new purpose. Thank you so much Elena C Jones especially for the time you gave, the sharing of your talents and spiritual gifts was such a blessing in so many ways.